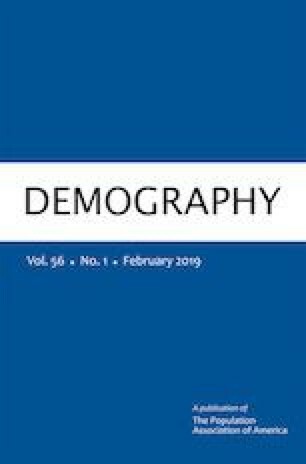 In this article, we investigate the influences of material aspirations on migration in Nepal, positing that material aspirations may have important influences on decisions to migrate and where to locate. We discuss a theoretical model explaining how these aspirations might be key influences in the migration decision. Using detailed continuous migration histories from the 2008–2012 Chitwan Valley Family Study, we estimate logistic and alternative-specific conditional logit models to examine how material aspirations in Nepal influence migration rates and destinations. Our empirical analyses provide strong evidence that material aspirations have large effects on overall rates of migration and affect destination-specific migration rates, particularly for relatively wealthy Western and Asian destinations. We also show an interaction effect between material aspirations and destination-specific expected earnings in influencing people’s migration choices. It is the people with high aspirations who migrate to destinations with high earning potentials. We thank Christine Bachrach, Katharine Donato, Douglas Massey, and Michael White for their helpful advice and comments on an earlier version of this article. Also appreciated is the input from anonymous reviewers. We also appreciate the research support provided by a grant (R01 HD078397) from the Eunice Kennedy Shriver National Institute of Child Health and Human Development (NICHD). Our research was also supported by NICHD research grants (R24 HD041028 and P2CHD041028) to the Population Studies Center of the University of Michigan and by an NICHD research infrastructure grant (R24 HD042828) to the Center for Studies in Demography and Ecology at the University of Washington. The content of this article is solely the responsibility of the authors and does not necessarily represent the official views of the National Institutes of Health.